We are able to design & manufacture a wide range of custom built mains and output audio transformers and also DC smoothing chokes. All hand crafted at our Poole, UK factory. We do not hold a stock range of these components, preferring to match exactly the individual requirements of our customers. We also hold a wide range of specifications from previously built products. These units can be finished fully shrouded for top chassis mounting or half shrouded for drop through chassis mounting. The audio mains transformers, as with all our mains transformers, have an earthed interwinding screen and can also be fitted with an external copper ‘Q’ band. Other special finishes e.g chromed shrouds, can be accommodated on request subject to quantity requirements. We hold a comprehensive range of winding details relating to vintage Leak, Quad, Mullard, Vox and many others and can manufacture new components to ‘original’ specifications and have many years’ experience in building output transformers for both the musical instrument (guitar) and Hi-Fi markets. 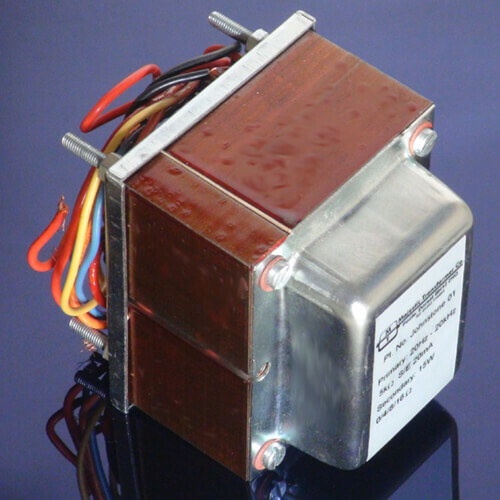 We have recently developed a range of replacement transformers for the Quad II amplifier which can either be supplied as loose components to fit into the original cans. 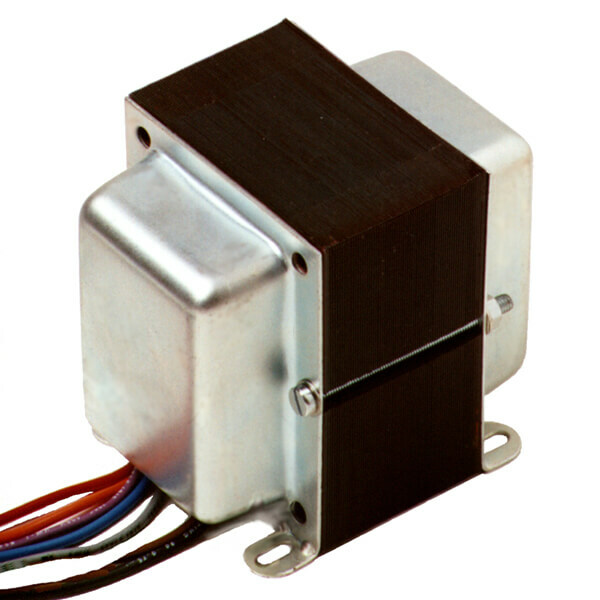 Or, if you do not want to carry out the messy task of un-potting the original transformer or simply do not have the original, we can now supply these complete with original style cans to match the original chassis.